N.Y.: Ballantine Books, 1999. 134 pp includes index and bibliography. 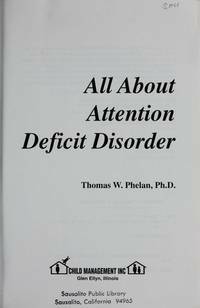 Asserts that "psychopathic tendencies begin very early in life, as young as three, and they endure." 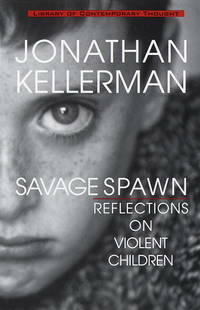 Examines the origins of psychopathy and the ever shifting debate between nurture and nature, offers some controversial solutions to dealing with homicidal tendencies in children. Softcover has no creases or tears, very minimal wear. Text is clean and unmarked. A nice copy.. First Edition. Trade Paperback. V. Good. Belmont California: Brooks/Cole Publishing Co. 1969 Soft Cover. 9 x 6. 143 pp. A brief treatment of personality theories of: George W. Allport, Gardner Murphy, Henry A. Murray, William H. Sheldon, Raymond B. Cattell, Neal Miller and John Dollard, Alber t Bandura and Richard Waltrs, Carl Rogers, Kurt Lewin, George Kelly, John W. Atkinson, Leon Festinger. Name index and subject index. Softcover has a crease to upper front corner. A sticker has been re moved here. A couple of scratches to the bottom front corner. No former owner's name. Text is clean and unmarked. Overall cond: good..
N.Y.: Alfred A Knopf, 1971. 215 pp + 10 pages of notes. First and Second printings of this book were before publication. A Borzoi Book. Skinner believes that the traditional concepts of freedom and dignity must be revised. He rejects traditional explanations of behavior in terms of states of mind, feelings and other mental attributes in favor of explanations to be sought in an individiual's genetic endowment and personal history. Dj has very little wear. Not price clipped. New mylar cover. Brown cloth on boards binidng has small bumps to top corners but clean. No former owner's name. Endpapers clean. Text is clean, secure, and unmarked. A nice copy of this book.. Fifth Printing. HC and DJ. Very Good/Very Good. 8 1/2 x 6. N.Y.: Henry Holt and Company, 1991. 182 pp includes index. Self-analysis day by day. Control the emotions that usually control you. Break the cycle of self-destructive behaviour. Ease the stresses of career and family. Dustjacket has very minimal wear. Not price clipped. White paper on boards binding with orange cloth spine is in excellent condition. Former owner's name written neatly on front free endpaper. Text is clean and unmarked. A great copy.. Stated first edition. HC and DJ. Very Good/Very Good - Near Fine. 8 1/2 x 5 3/4. N.Y.: Houghton Mifflin Co., 1966. 121 pp includes index. Major papers presented at the 1965 Cubberley Conference at Stanford University designed to explore more effective ways by which guidance personnel could be of service to the young people in schools and colleges. Appendix: Demonstrations and discussions at the 1965 Cubberley Conference. Softcover has a bit of scuffing, wee bumps to corners, no creases or tears. NO former owner's name. Text is clean and unmarked, secure.. Presumed First. Soft Cover. Good. 8 x 5 1/4. Harmondsworth, England: Penguin, 1973. 159 pp includes index. The author draws throughout on a wealth o finternational research into the incidence, methods and social and personal dynmaics of suicidal acts. "The book ends with a review of short-term samariatan measures of prevention and a plea for a profound change in social living." Softcover has a wee bump to top corner front. Cover is bright and clean. No former owner's name. Text is clean, secure, unmarked.. Reprint with Revisions. Mass Market Paperback. Very Good. 7 x 4 1/4.